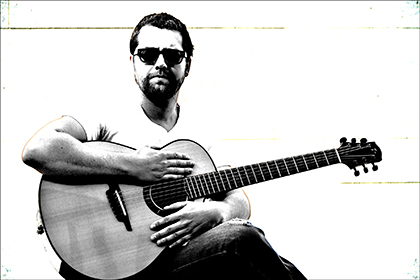 Justin St-Pierre: Acoustic percusive guitar. 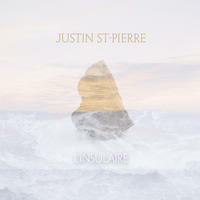 Justin St-Pierre creates a contrast between the simplicity of the instrument and the complexity of the music that emerges, as well as a unique sound journey and an impressive visual performance. His music makes us travel from places to places, from one emotion to an other. Each of his albums is a movie, a story, that formed in your head while the pieces are playing. Instrumental music is like a book. You are the one creating your own images. 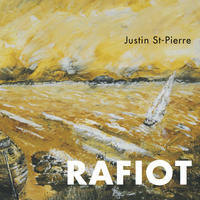 In 2006, Justin St-Pierre won the "Frimat Festival" (Quebec) and launched his first so lo album Rafiot. 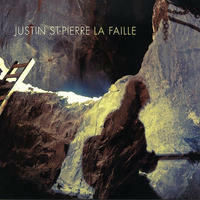 In 2011, his second album La Faille (The Fault) is a tribute to his natal land, as it refers to the depth of the gold diggings of his region. The album is a success and made him travel in many territories of Canada and in France. After being a top finisher in several prestigious guitar competitions, Justin won in 2013 the first place of the Canadien Guitar Festival, making him one of the best fingerstyle players of his time. His third album, L'insulaire (The Insular), inspired by the city of Montreal and the pacific island New Caledonia, was released in the fall of 2015 after 5 years of work. Highly considered today by fingerstyle guitarists and the public, Justin St-Pierre was one of the judges this year at the Canadian Guitar Festival with Preston Read, Don Ross and Antoine Dufour. You can find out more about Justin on his 크레이지슬롯 사이트website. Justin St-Pierre lives in Sainte-Marthe-sur-le-LacQC, Canada. Tagged as: Alt Rock, Instrumental Rock, Acoustic Guitar, Daydreaming, Folk.